The Vanity Portrait Studio Blog - We create magazine-inspired photos at distinguished events. Your guests will look STUNNING! Do you have a client that has a big birthday coming up? A 40th? A 50th? A 75th!?!? Or, how about a 20th anniversary corporate party? These are HUGE milestones celebrations! Friends, colleagues, and family come together and everyone is in the same room at the same time. What better opportunity is there to create stunning portraits of everyone together? We’re finding that when clients are interested in creating a memorable guest experience for milestone celebrations, The Vanity Portrait Studio adds an element of surprise to the special occasion. Guests leave with a meaningful keepsake, and a lasting way to commemorate the event. Last month, we were grateful to be part an inspiring milestone event for CNN’s Van Jones’ 50th birthday celebration. Thank you Do Good Events for bringing us onboard! Van turned his birthday celebration into an opportunity to fundraise for DreamCorps, which helps amazing initiatives that are changing our world for the better. 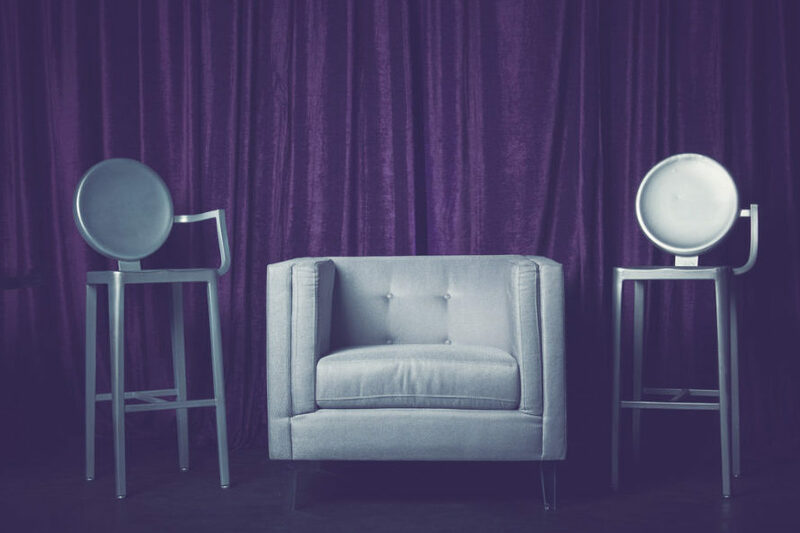 We LOVED the purple velour pipe-and-drape backdrop for the studio with the silver armchair and stools. This setup below is the ideal backdrop with a solid, rich color and the furniture is perfect for posing groups, couples and individuals. The simpler, the better when it comes to the backdrop and furniture. Our speciality is posing our guests and creating an interactive, uplifting experience. Since Van’s 50th birthday celebration was a fundraiser for DreamCorps, we created custom mats with DreamCorps’ logo on it with Nia impact capital’s who sponsored The Vanity Portrait Studio (thank you! thank you!). We are still gushing over these portraits…! Below are some highlights from the amazing celebration. If you’re interested in elevating your event with The Vanity Portrait Studio, we would love to hear from you! The Vanity Portrait Studio offers event photography and specializes is a magazine-inspired photo shoot brought to distinguished events. Our goal is to make your guests look STUNNING! Each person is artfully posed by a Portrait Photographer, photos are edited in real-time, and guests leave the studio with matted prints in a matter of minutes. Do you have a client who’s looking for an experiential way to feature their brand at an event? We have an idea for you. Last month, we partnered with Entire Productions (shout-out to Entire for bringing us on board!) and Infiniti USA for San Francisco Magazine’s ‘Best of Issue’ celebration. As the premiere event sponsor, it was important for Infiniti’s brand to be displayed prominently at the event. For the event, we outfitted The Vanity Portrait Studio into what looked like a photoshoot for an Infiniti commercial. We spotlighted an Infiniti vehicle that served as the backdrop with pipe and drape in the background, so the studio set looked polished and ready for guests to be the star of the show. We also stationed two massive 75 inch plasma screens that projected the portraits that were being taken with Infiniti’s logo. This created quite a bit of attention at the event. Guests walked by and stopped and asked questions like…”what’s going on here? How does this all work?” Can I get my photo taken? Is this free? ?” Of course it was complimentary for guests to get their portrait taken and sure enough a steady line of guests formed throughout the evening. 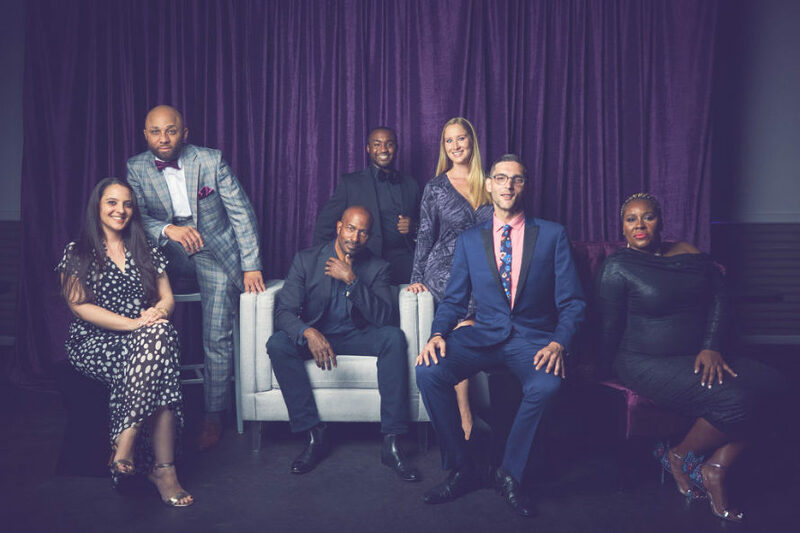 Once guests entered the studio, they were each stylistically posed by a Portrait Photographer in front of the Infiniti vehicle with our signature fashion lighting. All of our photographers are experts and trained in classical Portrait Photography. They know how to strategically light and pose their subjects in a wide variety of flattering angles and light. This also creates an interactive, memorable experience for guests. With Infiniti’s branded Vanity Portrait Studio, guests loved the idea of being the star of their own car ad! And, for Infiniti, they now had stunning brand photos to use for their own marketing. Every portrait is edited in real-time by a Photo Editor on-site. We do a slight retouching of the portrait to ensure the lighting and exposure look perfect. We want this to be the best portrait that someone has ever seen of her/him (I know…bold statement) and so all of our controls have to be just right to deliver the best. However, we’re not in the business of doing heavy editing or skin-retouching on our portraits. The reason for this is simple – we believe in celebrating people’s natural essence and capturing that. To achieve this, our Portrait Photographers are not only experts in their craft in posing and lighting, but they’re also cheerleaders, striving to make guests feel good and comfortable in their own skin. When guests get handed their portraits, we want them to see the best version of themselves and feel stunning. In minutes, the portraits were printed on-site and in the hands of our guests. 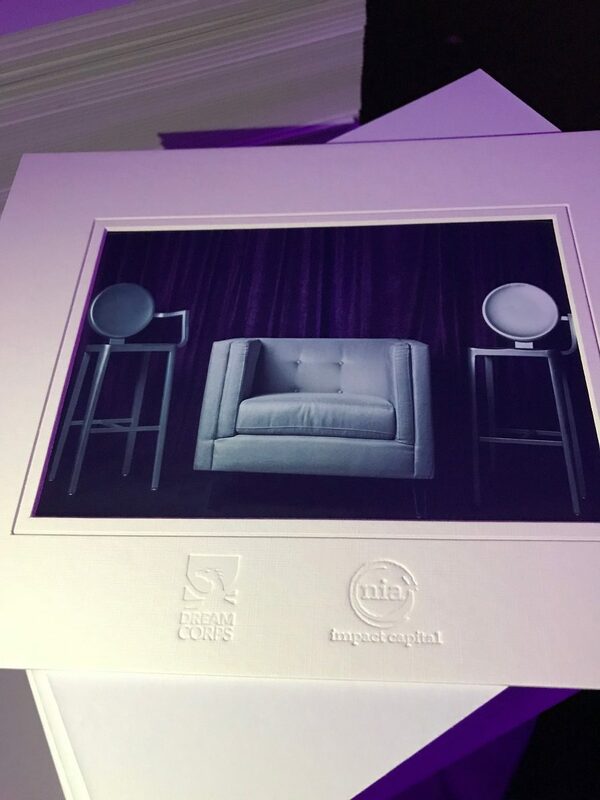 Infiniti’s logo was embossed on custom matted frames (see below), so each guest left with a branded keepsake from the evening. With portraits often being framed and displayed in the home or office, this is covetable advertising space for brands to consider. The event’s guests were really the star of the show. Below, are some of our favorite portraits from the evening. For Infiniti, we offered our “digital logo package,” where every digital portrait had Infiniti’s logo on it. Guests could email themselves digital copies at the event and every photo that was sent was branded with Infiniti’s logo. This was great for social media as guests could quickly post branded portraits online with the event’s hashtag. Thank you SO much for having us, Entire Productions, Infiniti USA, and San Francisco Magazine! !